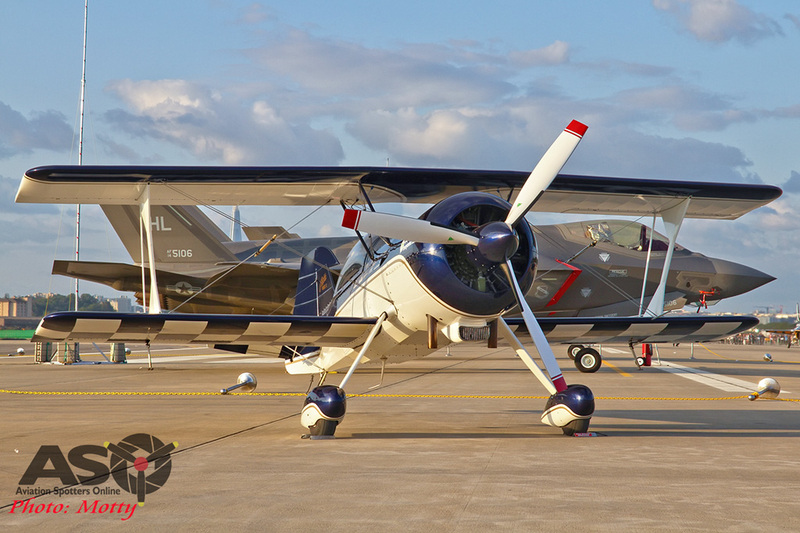 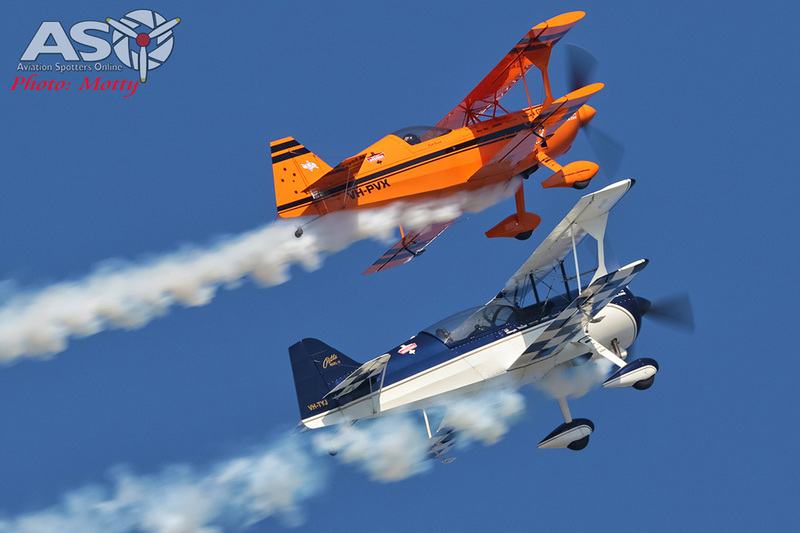 The very latest technology and hardware in fighter, maritime patrol, surveillance and transport airpower alongside some true classics and a couple of Aussie blokes in their diminutive biplanes wowing the crowds with their displays of formation and solo aerobatic skills. 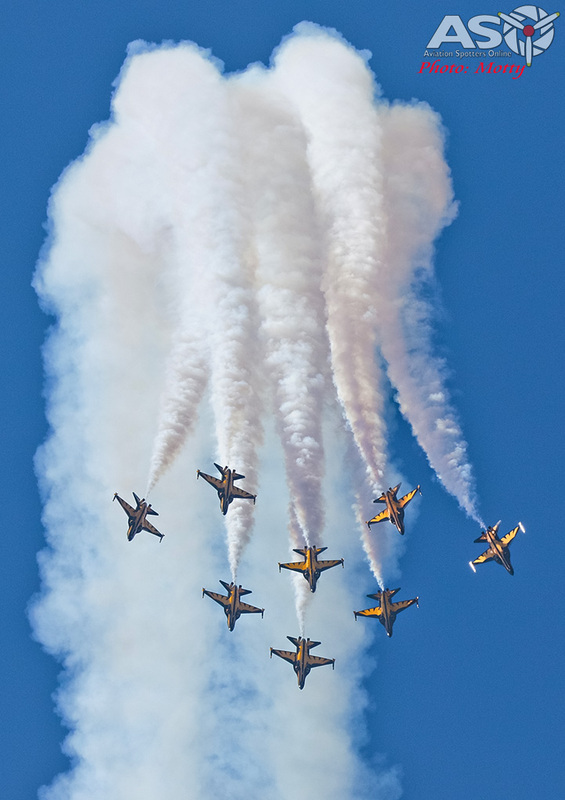 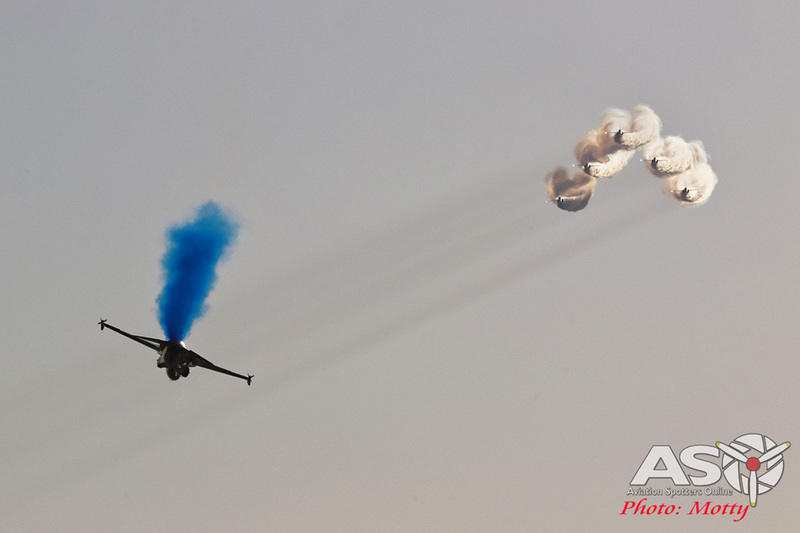 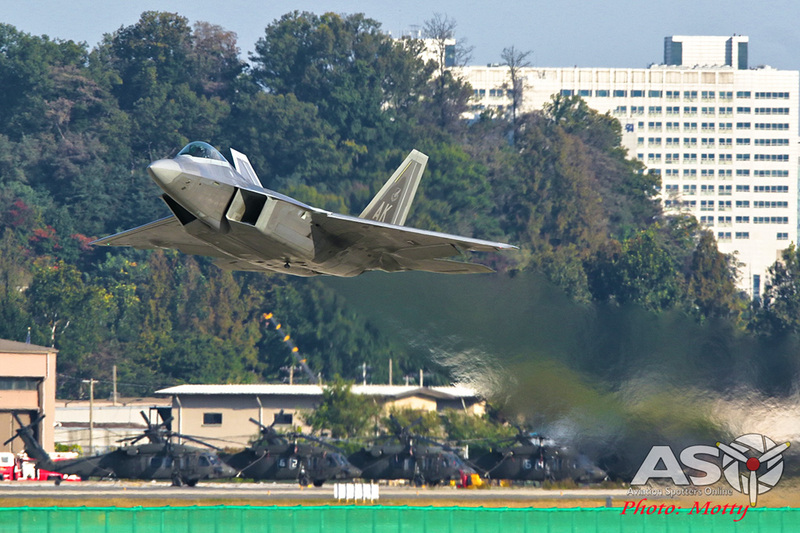 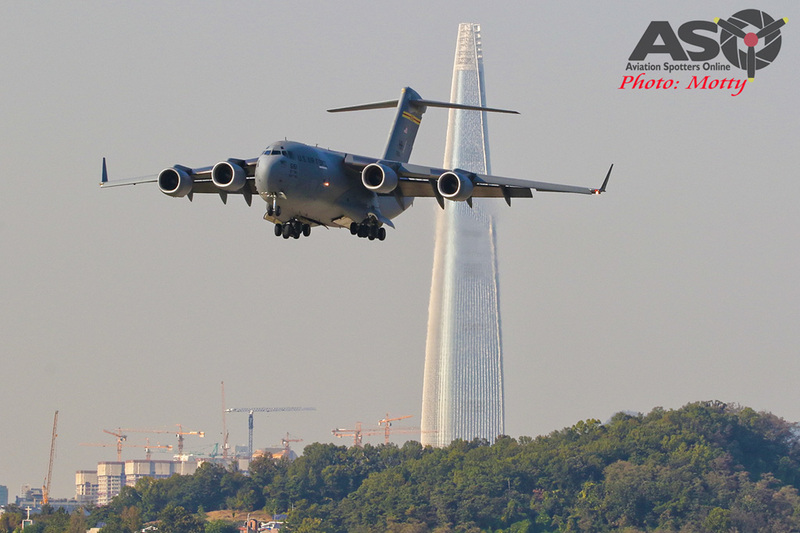 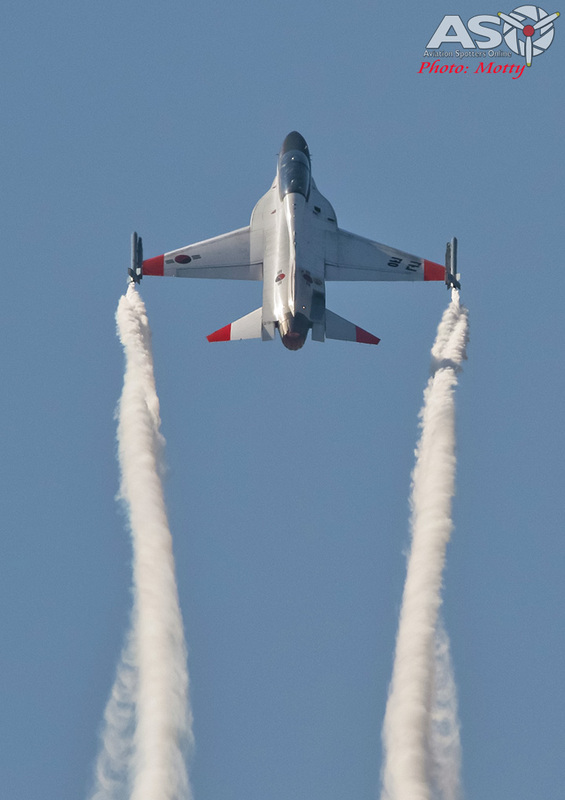 The Seoul Aerospace and Defence Exhibition (ADEX) is South Korea’s major international trade and air show, held biennially at Seongnam , a Republic Of Korea Air Force (ROKAF) air base, housing transport and VIP squadrons as well as a US Army Blackhawk unit, just to the south-east of the capital city, Seoul. 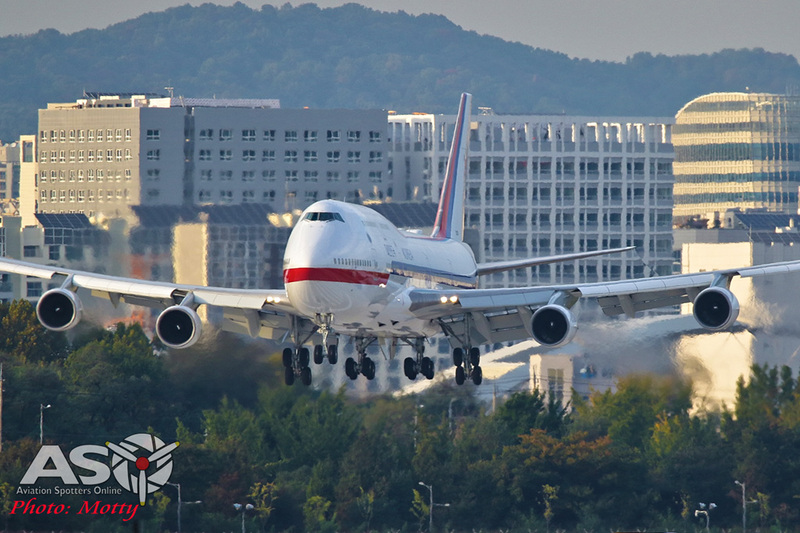 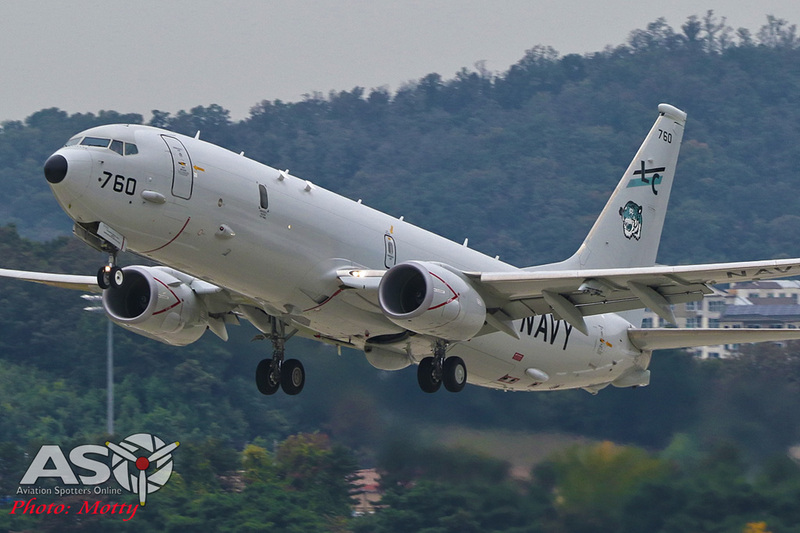 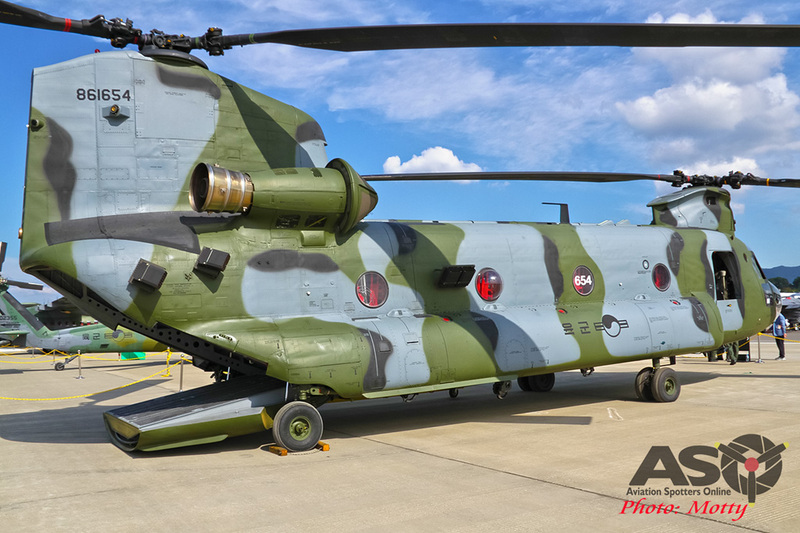 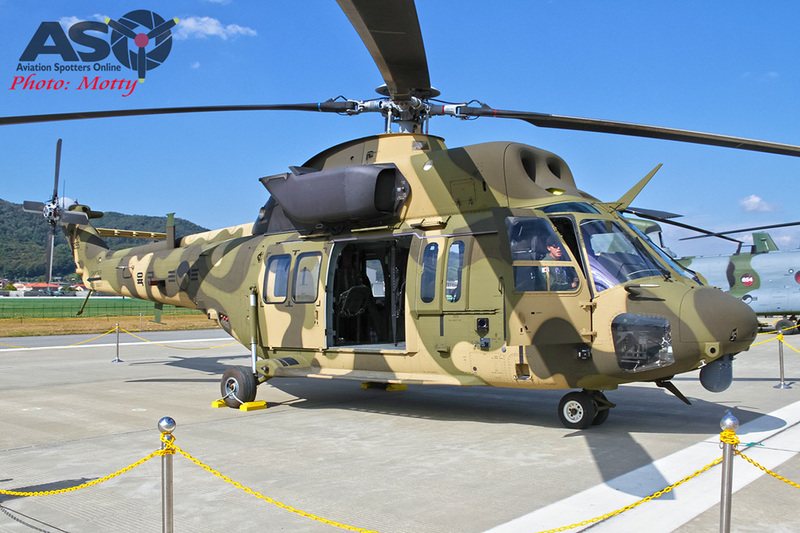 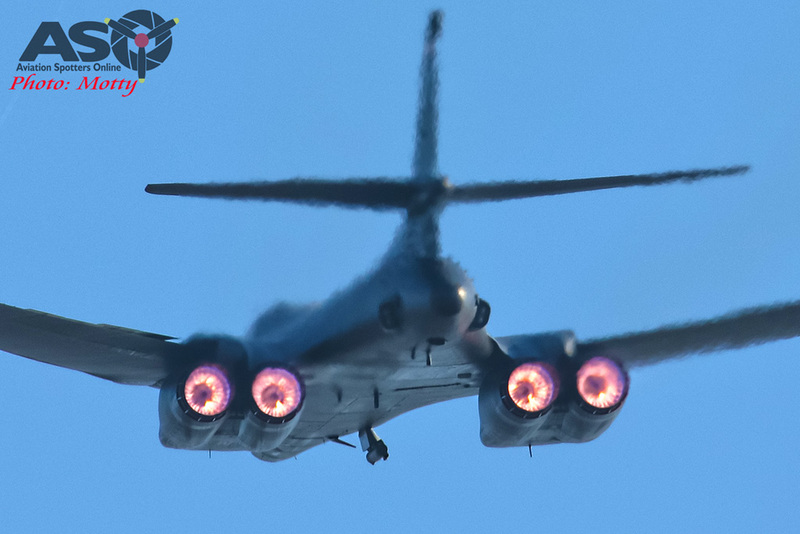 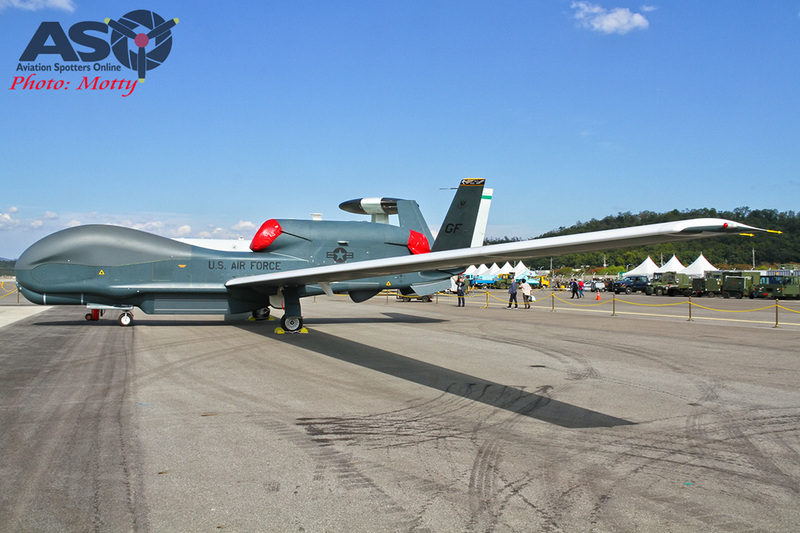 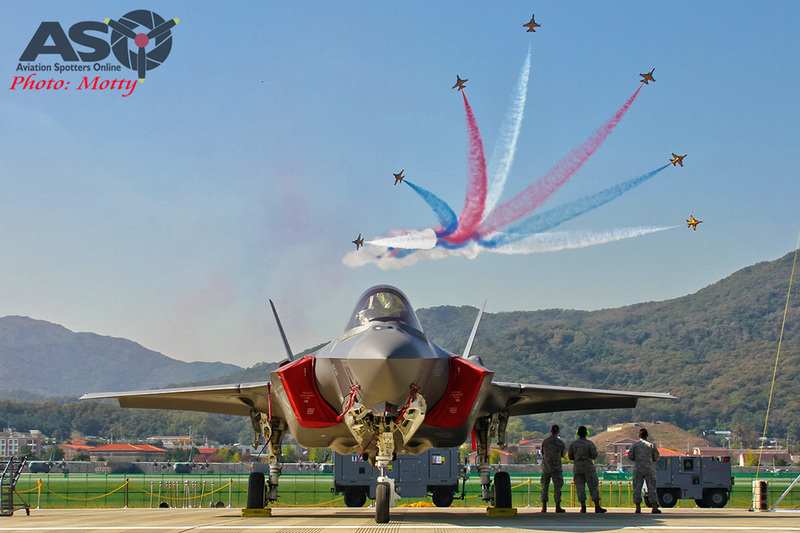 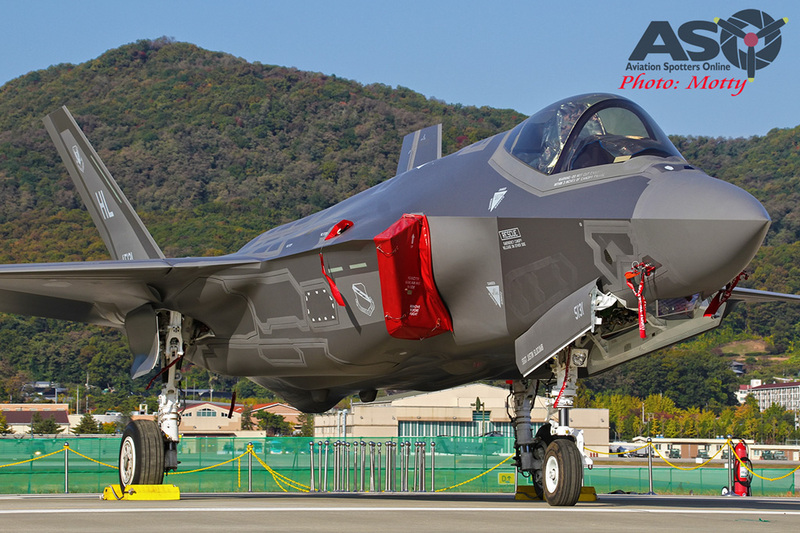 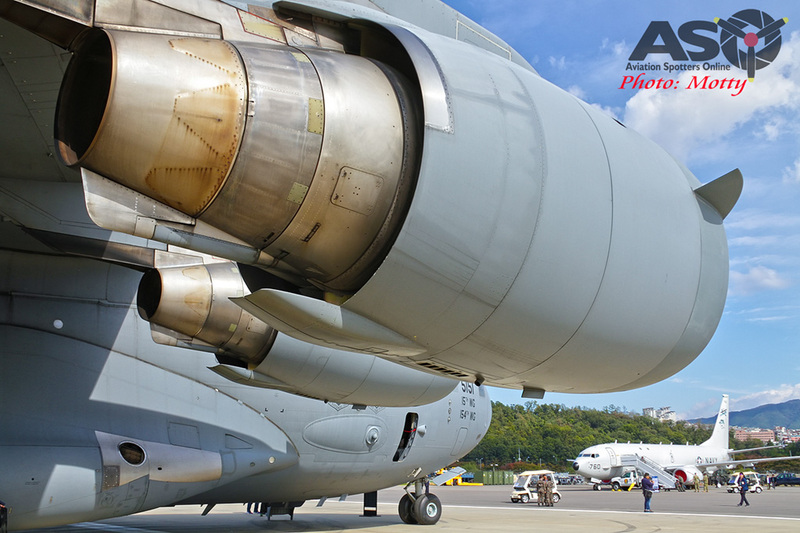 South Korea has a highly developed aerospace industry in its own right with major companies such as Korea Aerospace Industries (KAI) and Korean Air making and assembling components for Boeing and Airbus. 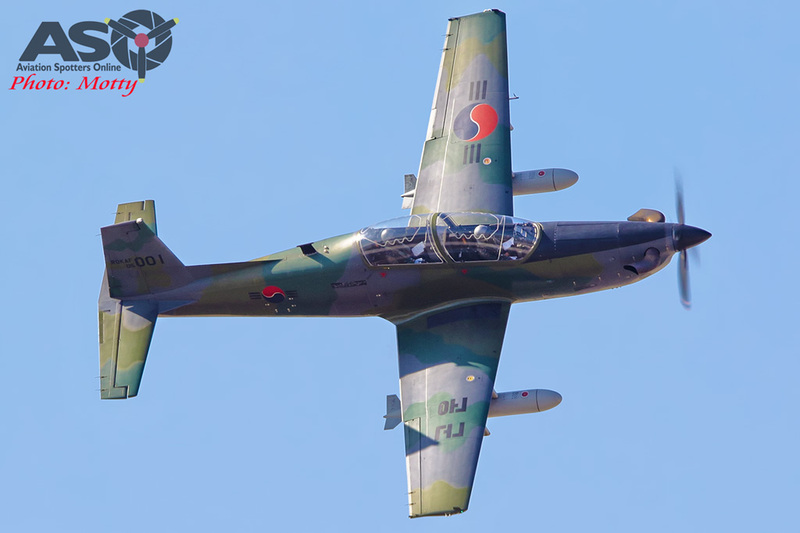 KAI and Korean Air are also active in developing indigenous aircraft and technology such as UAVs, helicopters and fixed wing airframes such as the KT-1 turbo-prop trainer and the T, T/A and F/A-50 family of lead-in fighter and light attack jets, and the ADEX provides an opportunity for both Korean and International companies to display the latest developments and technology to the aerospace industry and public during the seven days of the exhibition. 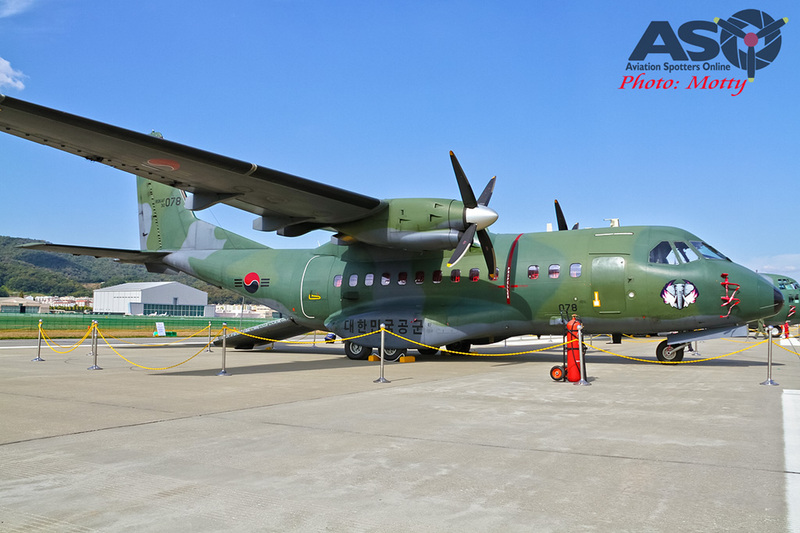 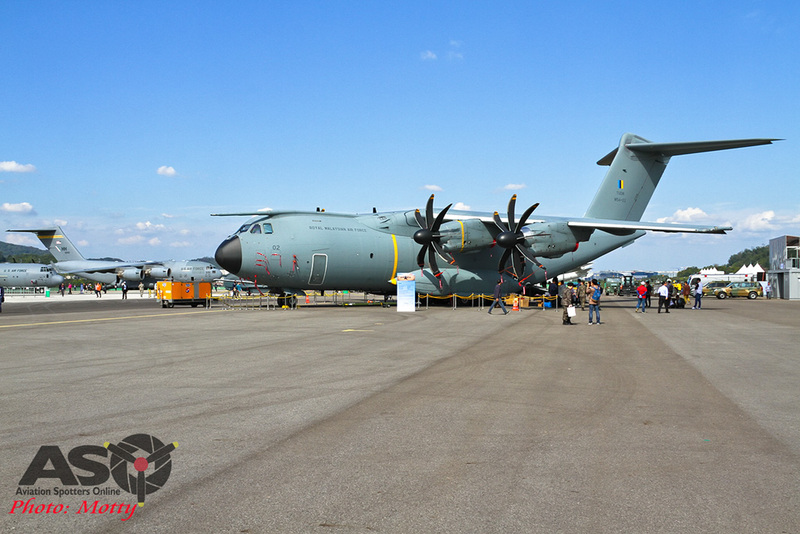 Aircraft on static display included examples of the C-130, CN-235, KT-1, KA-1, T-50, F/A-50, F-15K, KF-16, F-5E and F-4E from the ROKAF, a ROK Navy P-3, UH-60, CH-47 and KUH-1 Surion (a locally produced utility helo) from the ROK Army, an A-400 from the Royal Malaysian Air Force (for the trade days only), a P-8 Poseidon from the US Navy and E-3 AWAC, C-130, C-17, A-10, Global Hawk drone and a pair each of F-22s and F-35s from the USAF. 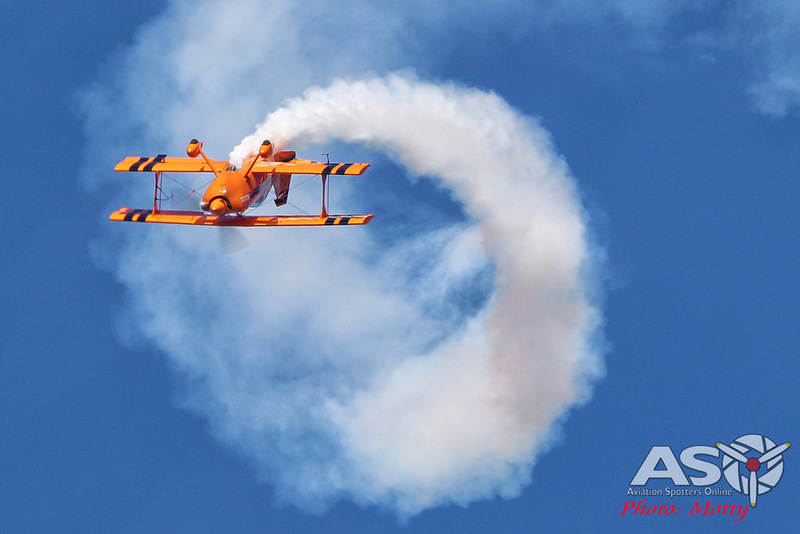 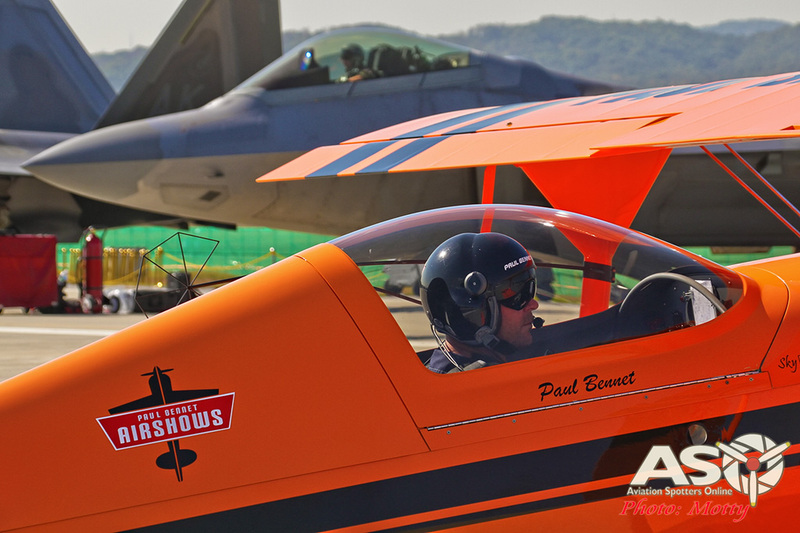 Amongst all this technology and military hardware, Paul Bennet and Glenn Graham from Australia’s Paul Bennet Airshows team, supported by Matt Webber from Luskintyre Aircraft Restorations, were a highlight as the only civilian performers at the show, with their bright orange Pitts S1-11X and Pitts Model 12 aerobatic biplanes. 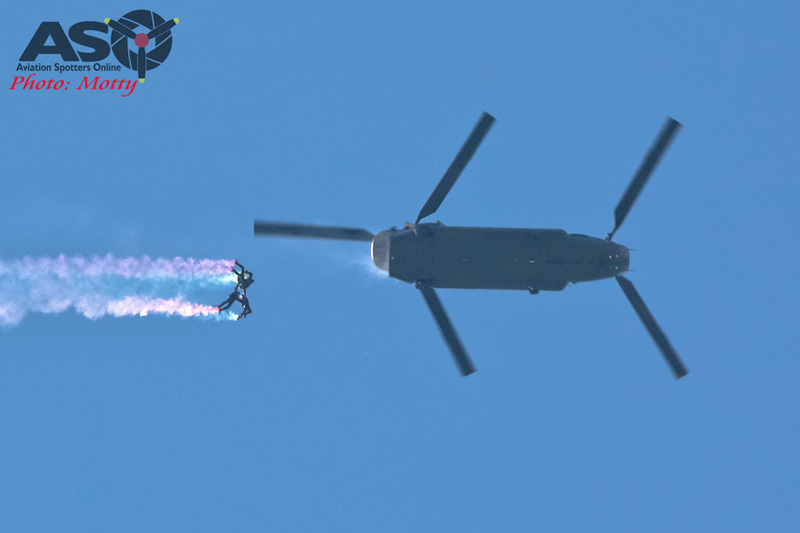 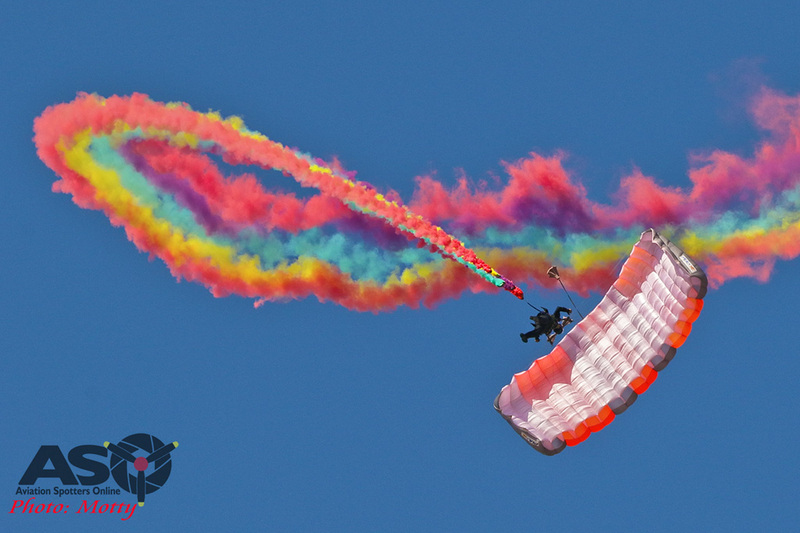 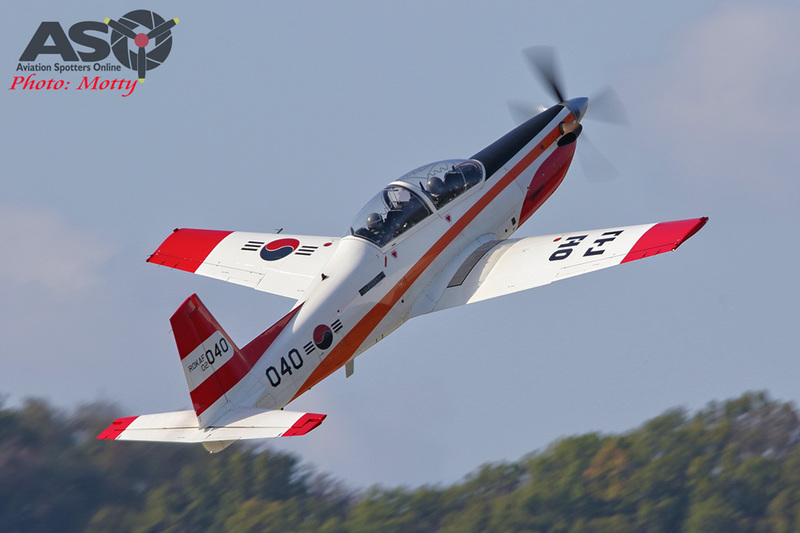 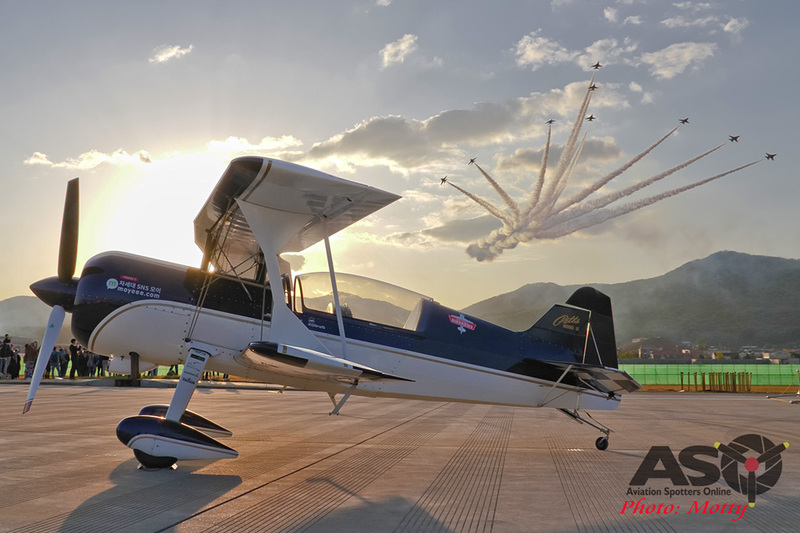 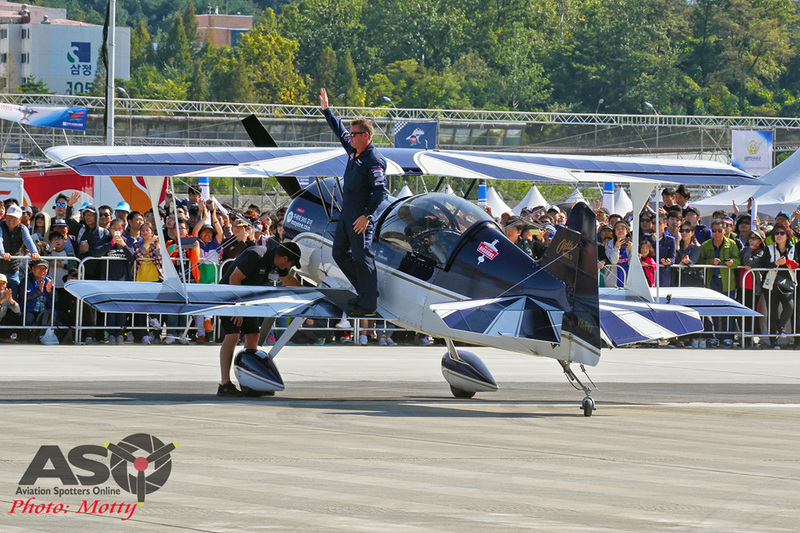 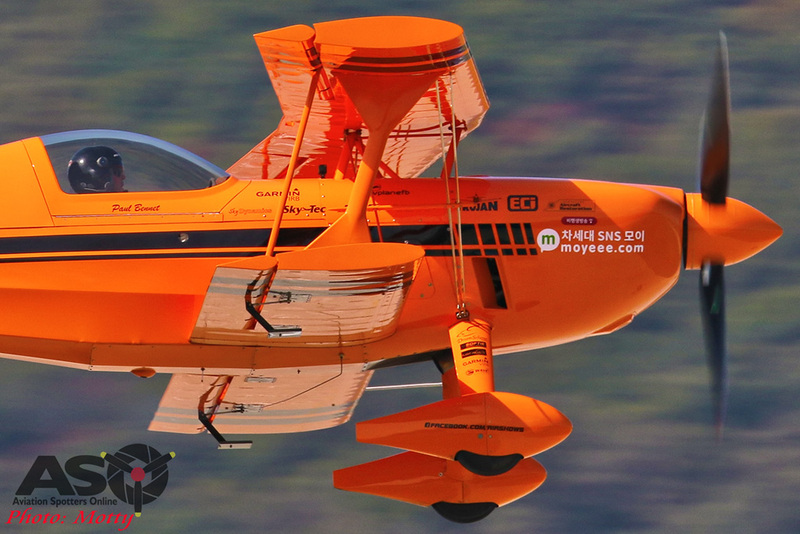 Paul & the team have performed at many shows in South Korea (and China) for several years and are always very popular with the huge crowds, both for their skillful displays and that a civilian individual can achieve such performances, as the concept of private flying is still very limited in this region. 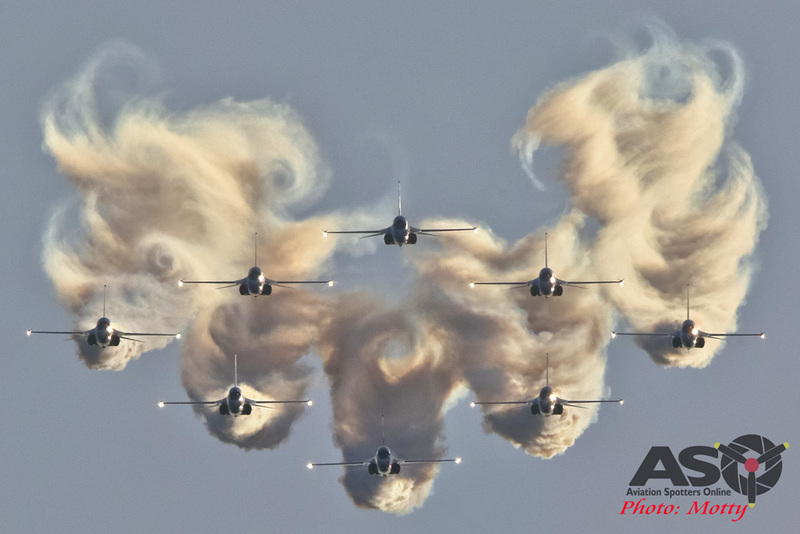 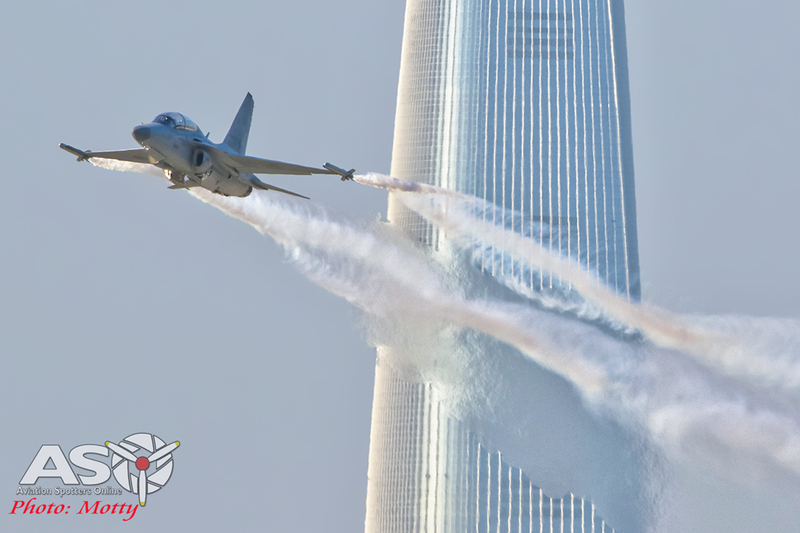 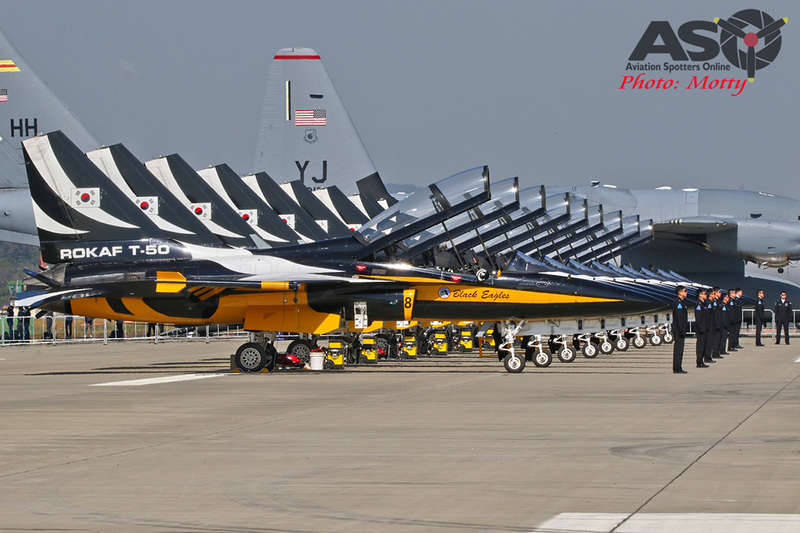 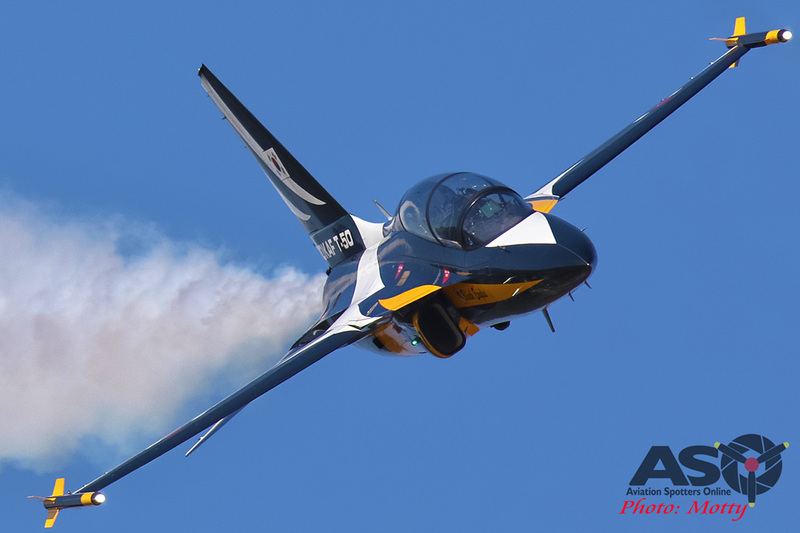 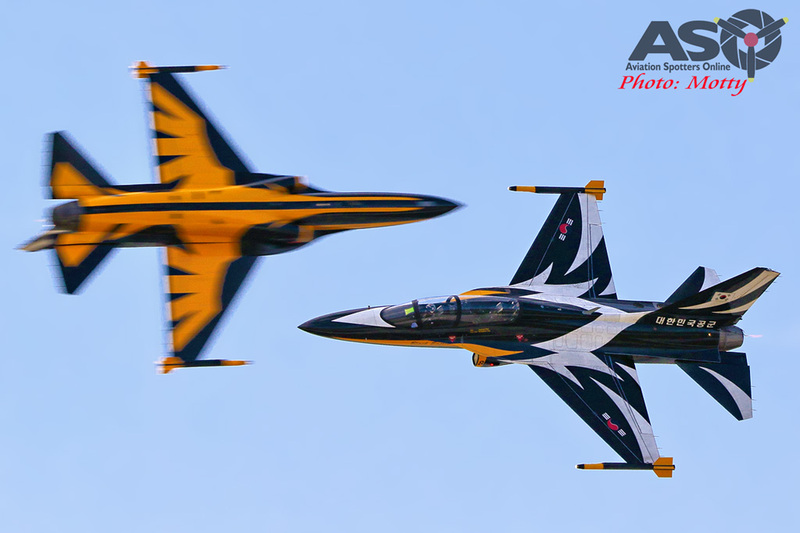 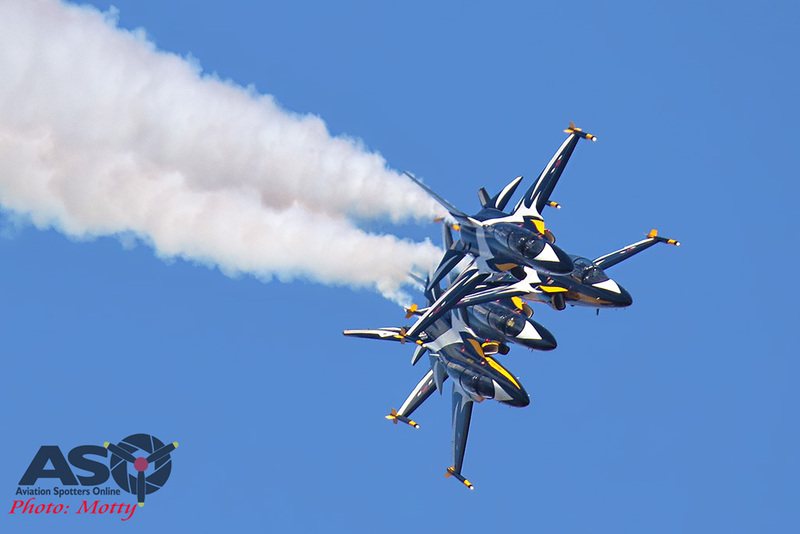 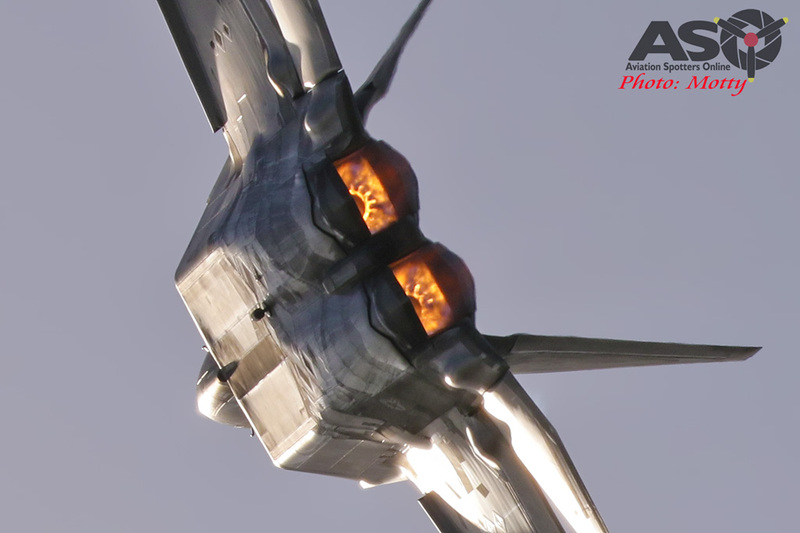 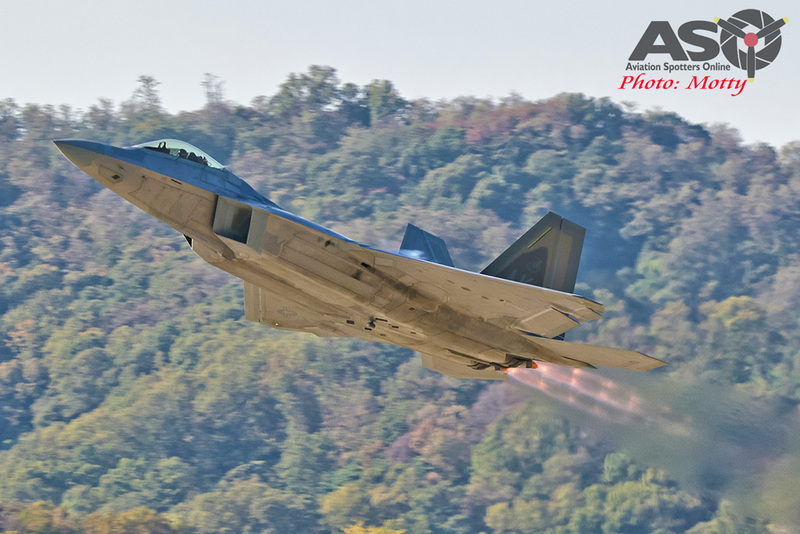 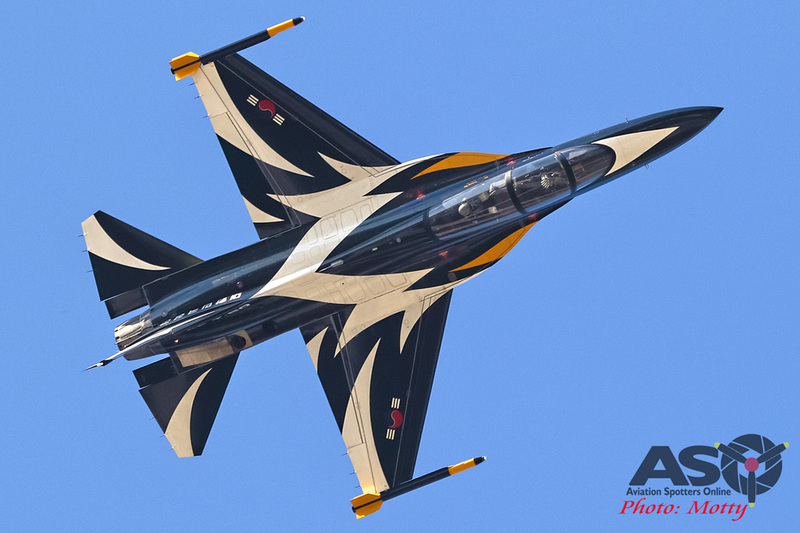 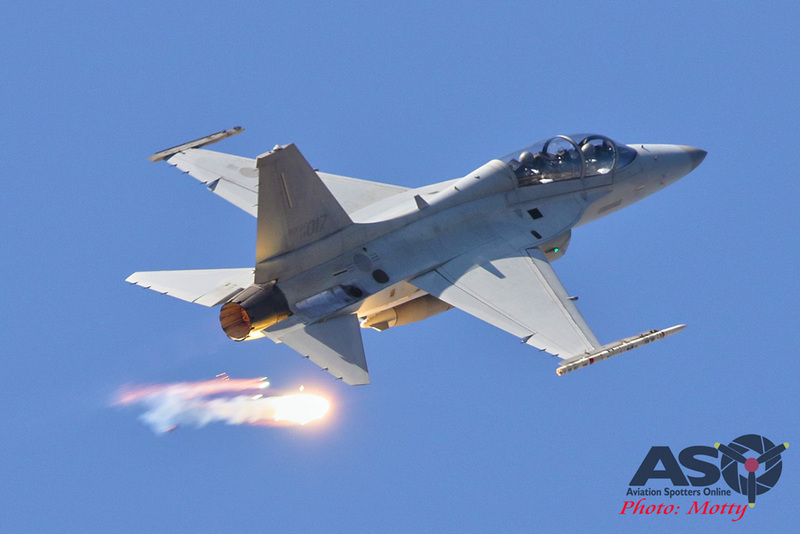 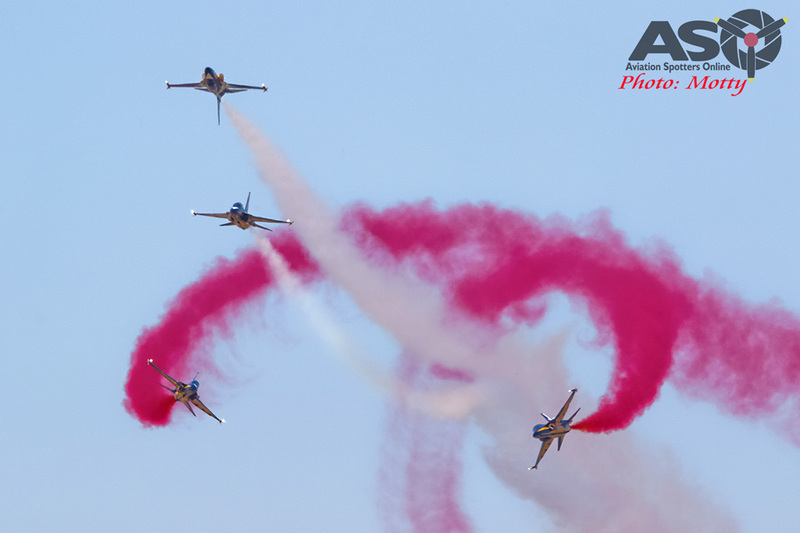 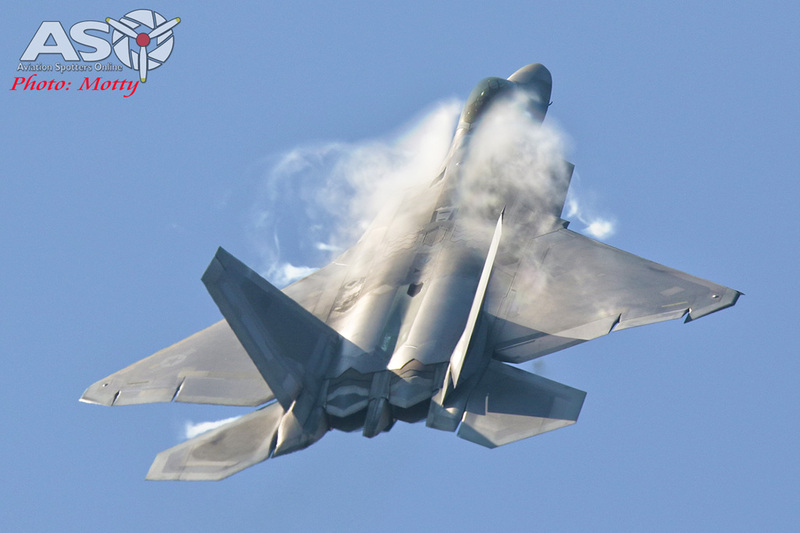 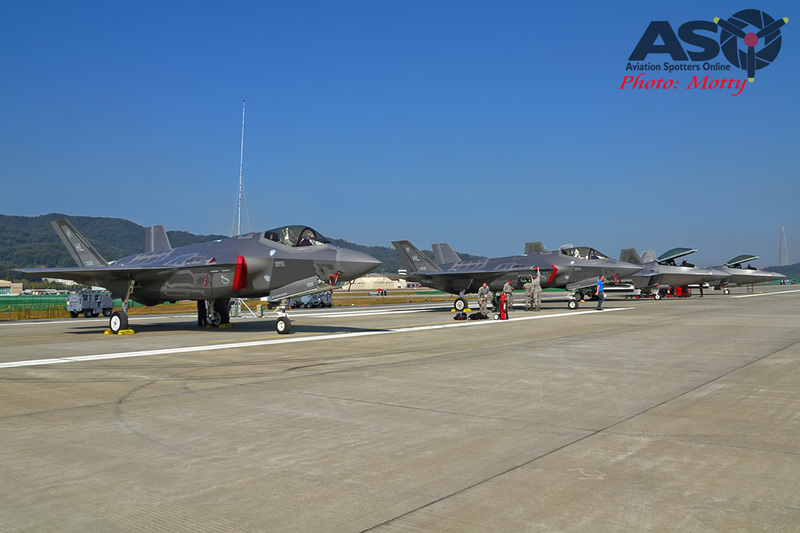 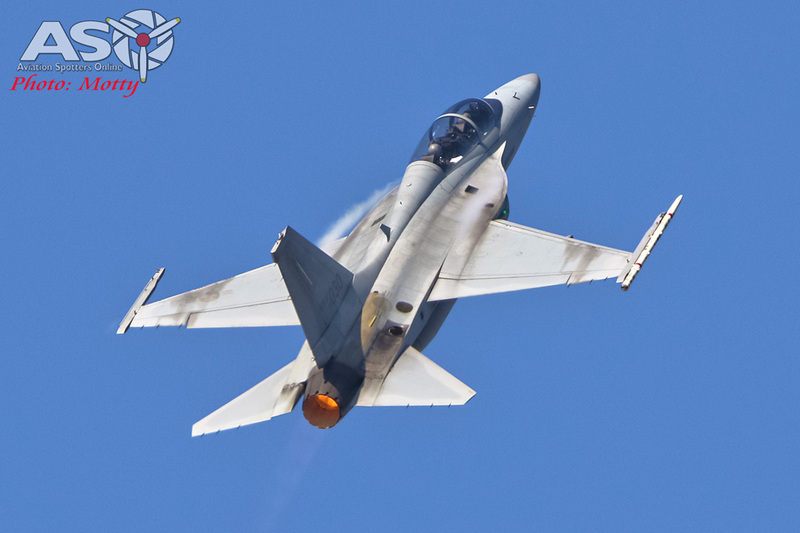 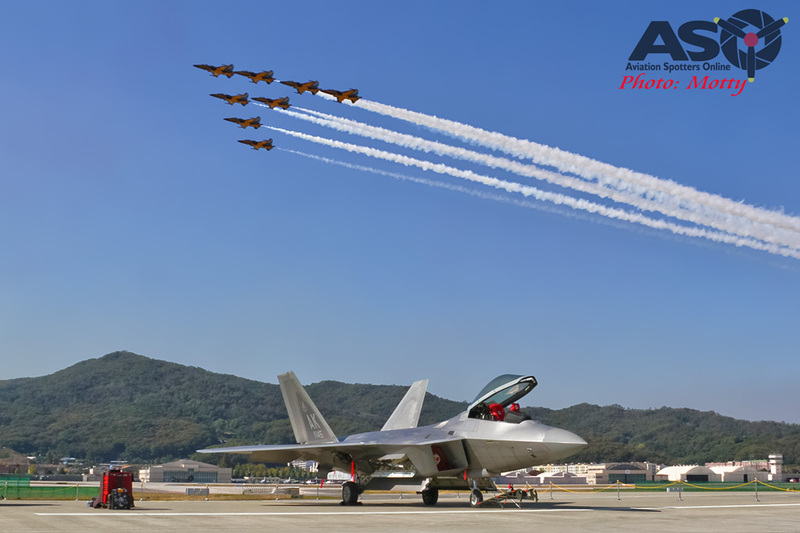 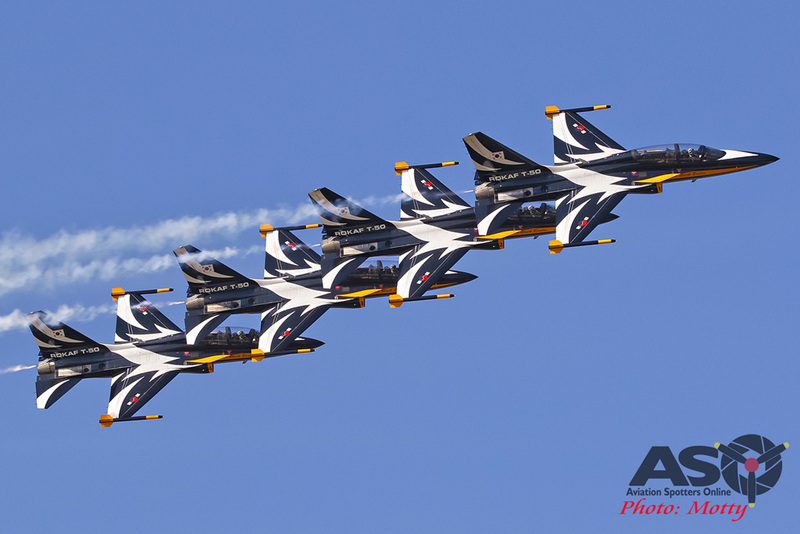 The Aussies displayed alongside the U.S.Air Force’s Air Combat Command F-22 display team and the ROKAF’s Black Eagles aerobatic team in their T-50B lead-in-fighter-trainers, locally manufactured by Korean Aerospace Industries (KAI). 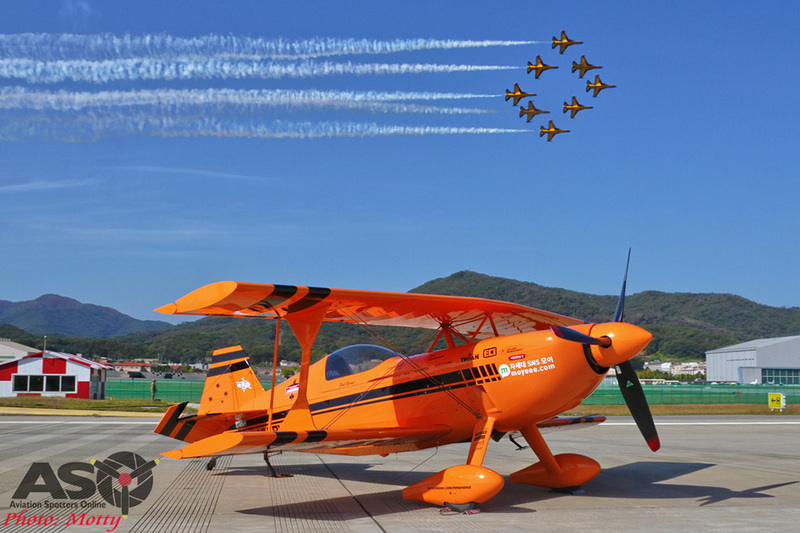 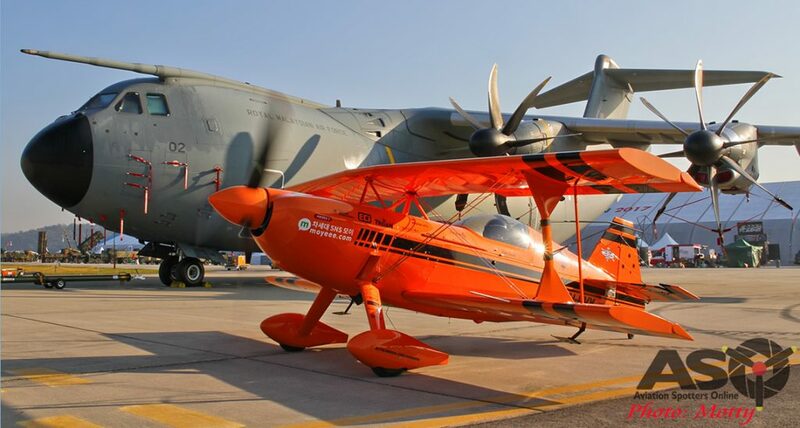 There was also a display by the ROKAF’s parachute team and individual handling displays of the KAI KT-1 turboprop trainer and T/TA-50 trainer / light attack jet and a USAF C-17. 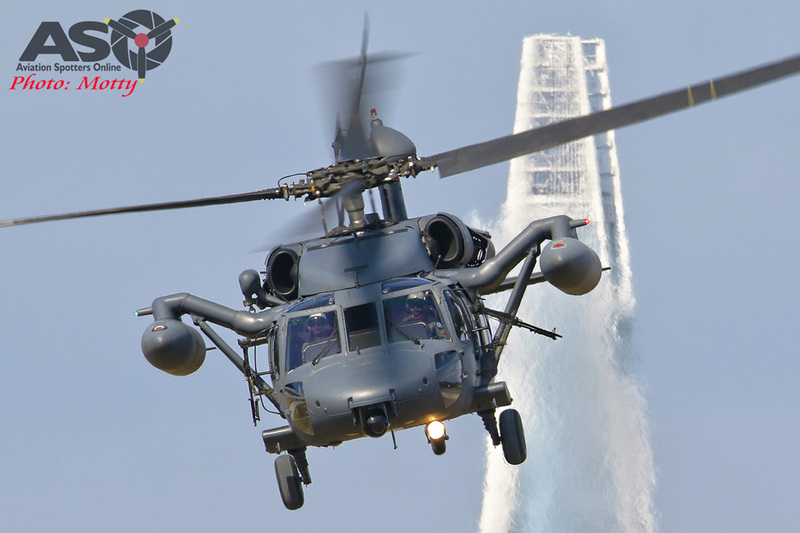 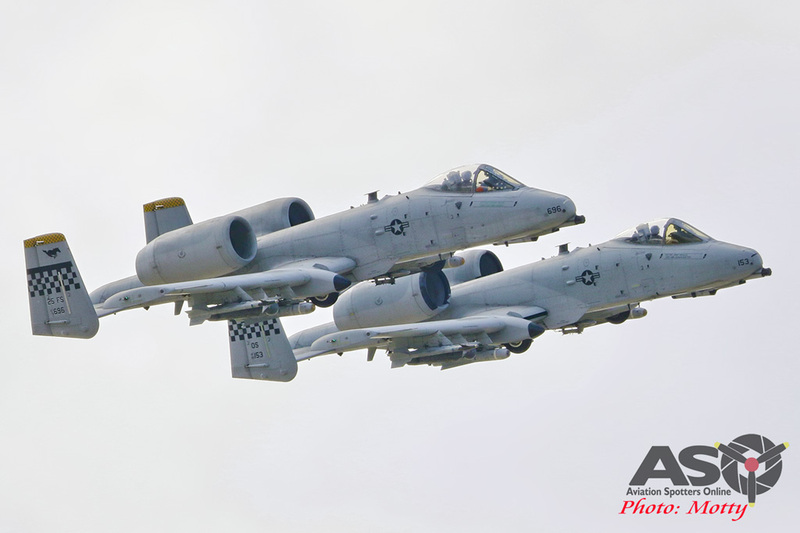 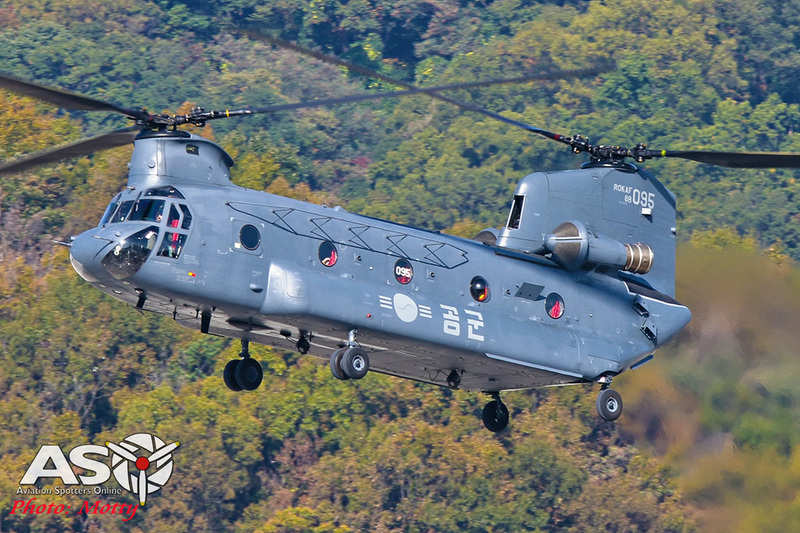 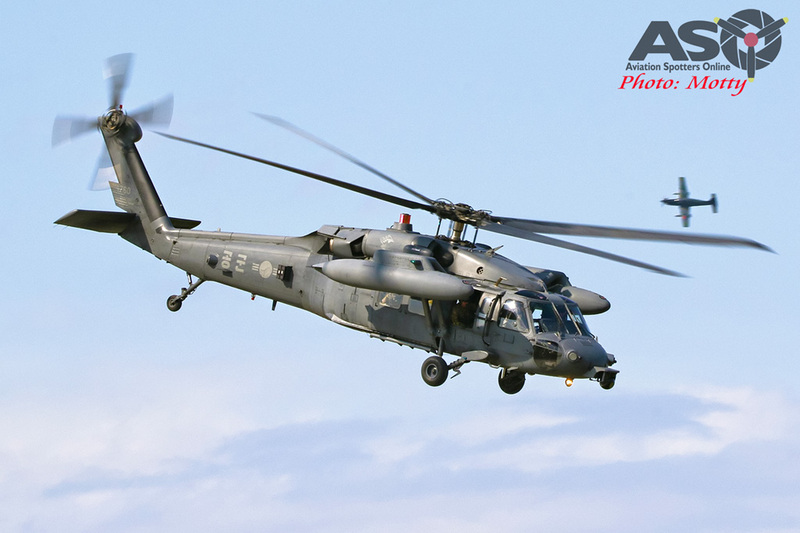 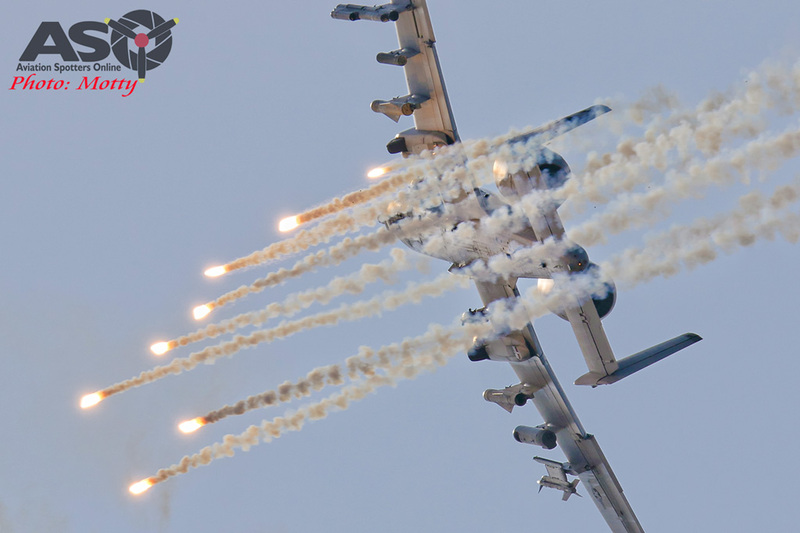 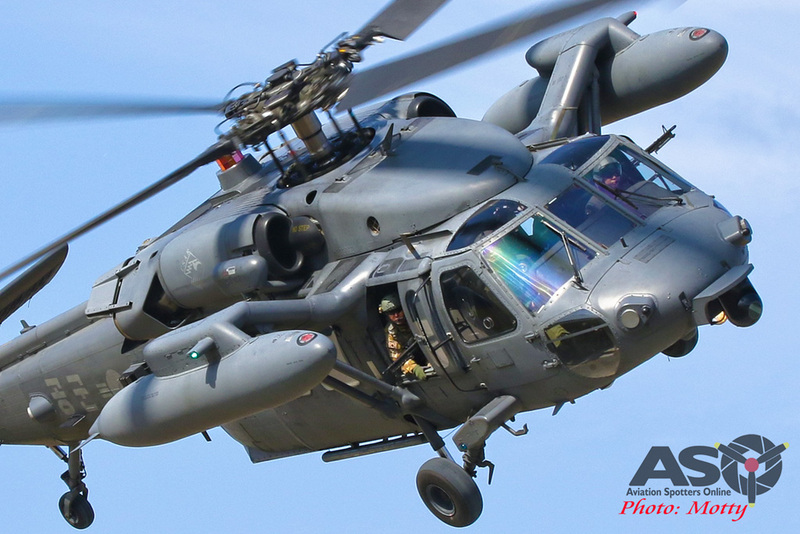 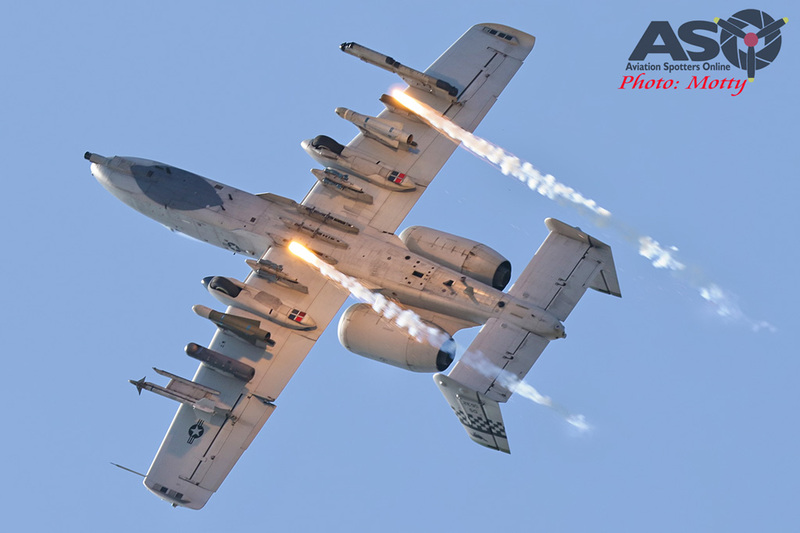 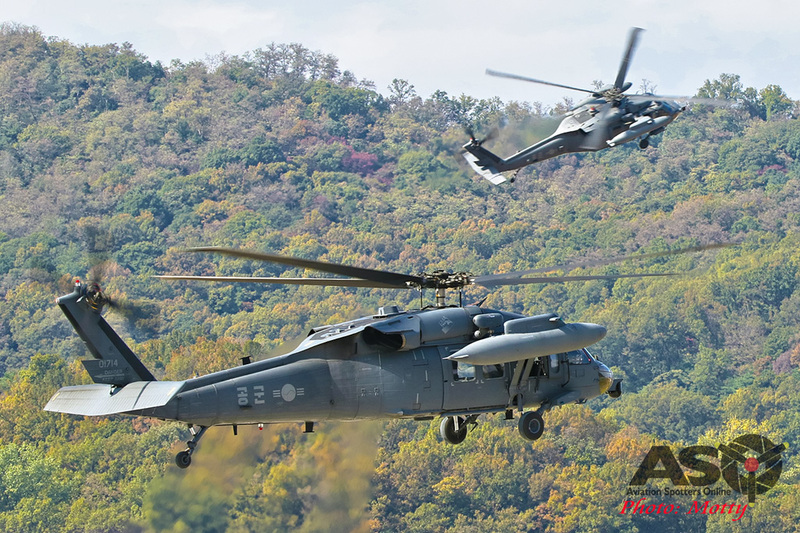 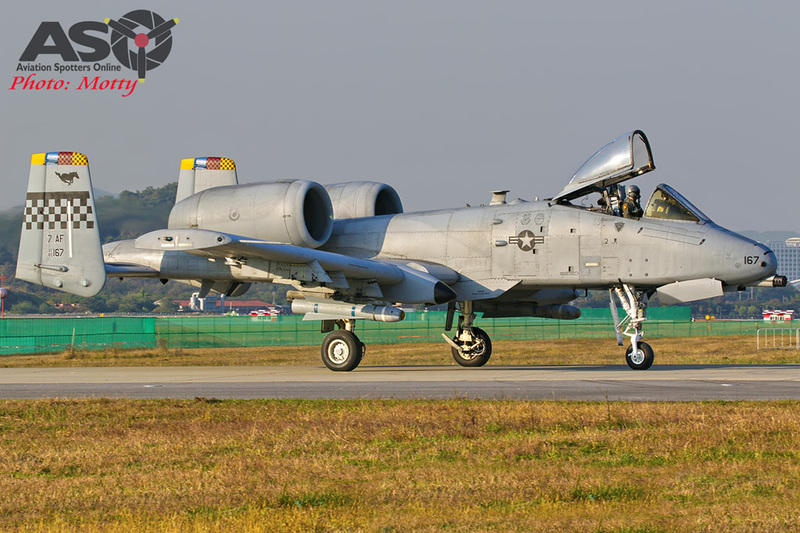 A major attraction on the public days was a Combat Search And Rescue (CSAR) set-piece involving USAF A-10s and ROKAF F/A-50s, HH-60 Blackhawks and a KA-1 Forward Air Control (FAC) version of the KT-1. 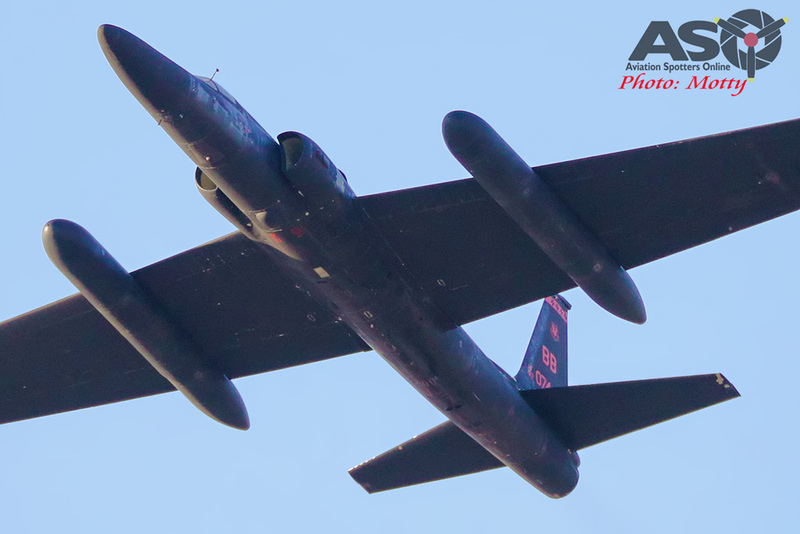 Saturday also saw flypasts by a pair of USAF B-1B bombers and a U-2 high altitude reconnaissance machine. 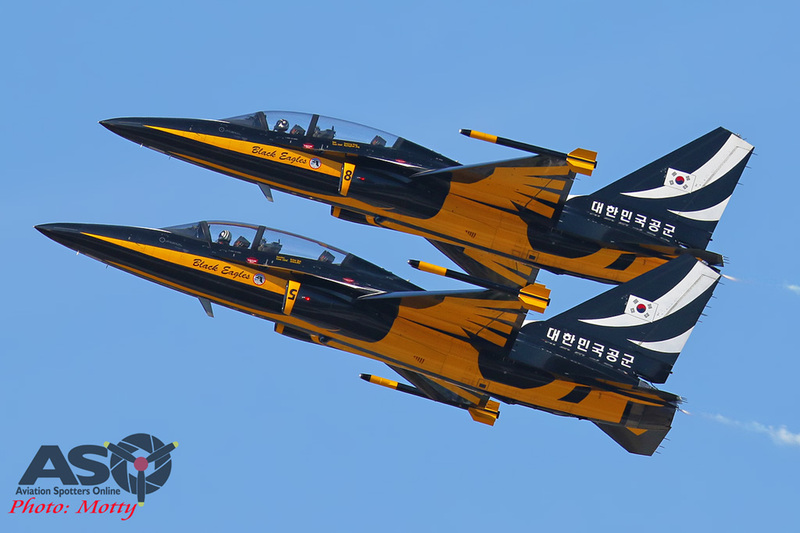 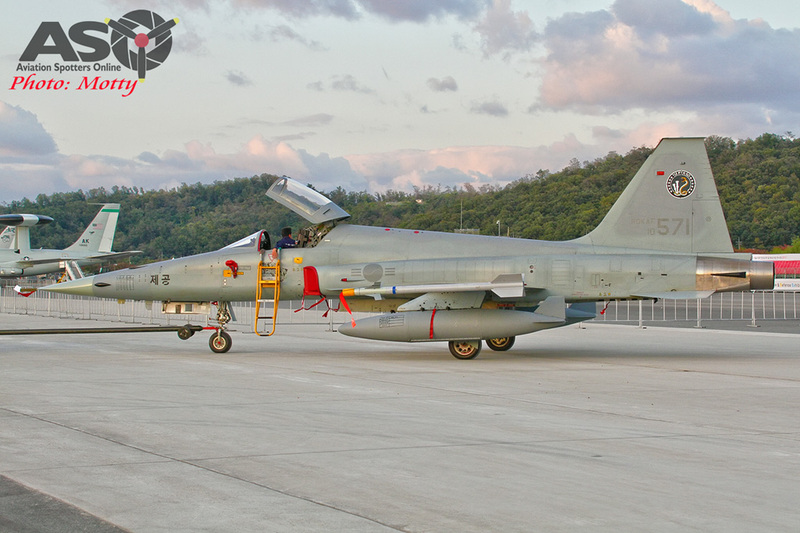 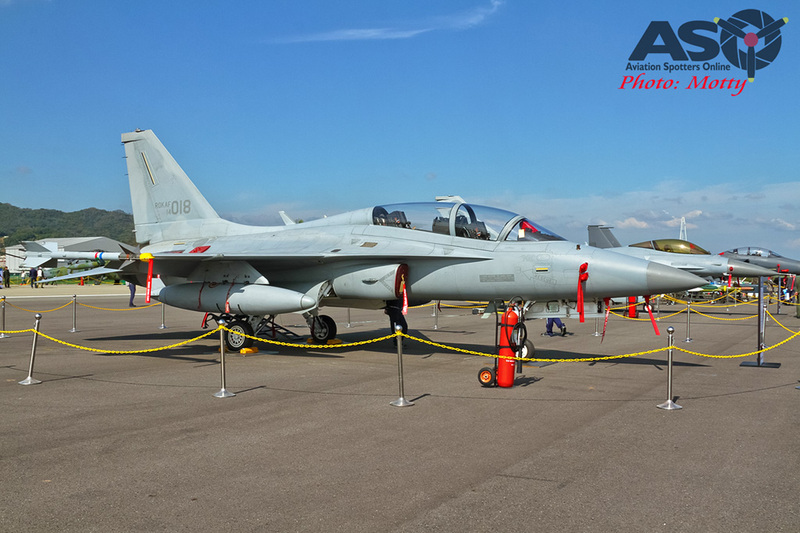 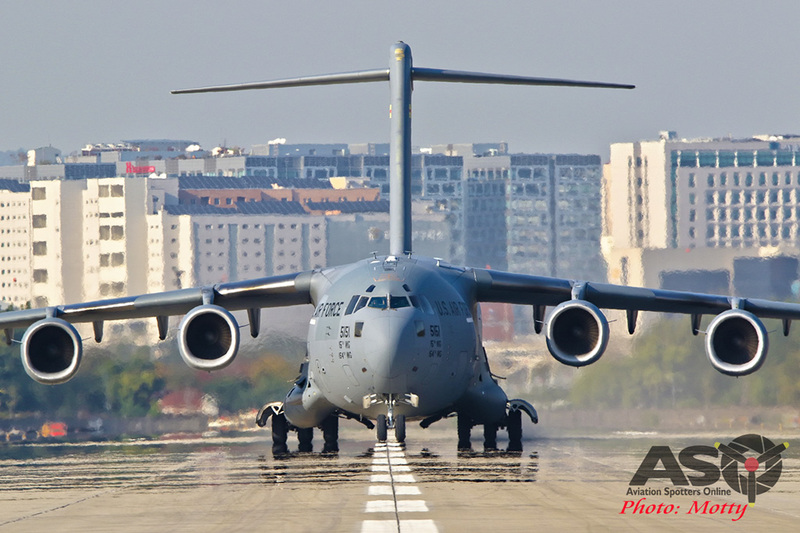 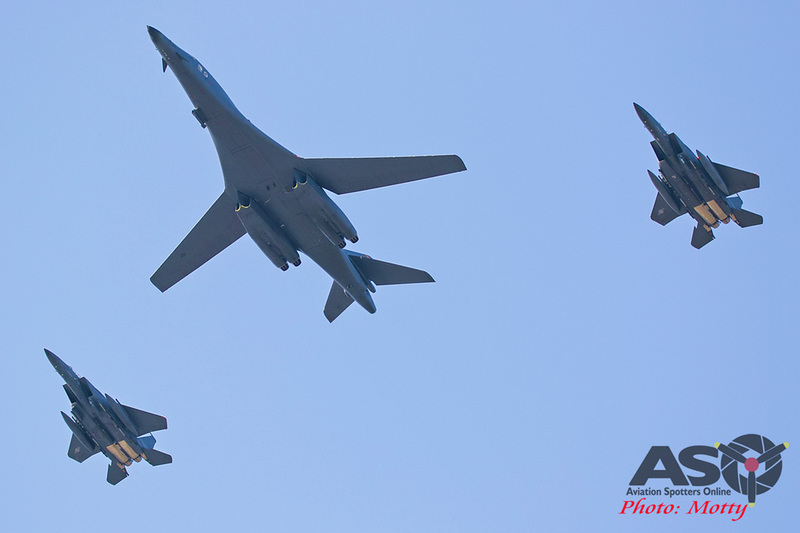 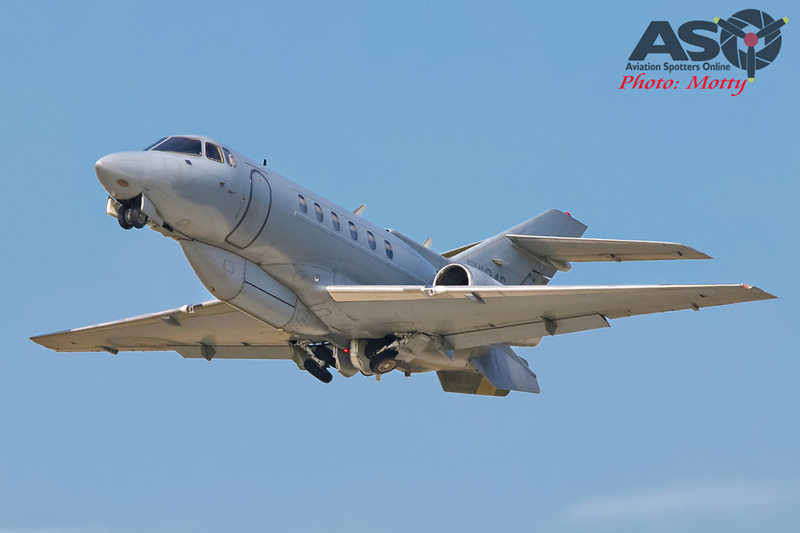 An added bonus from a spotting point of view was that as the ADEX is hosted at the ROKAF’s Seoul base, there was also the chance to catch a variety of other ROKAF types, either locally based or just passing through. 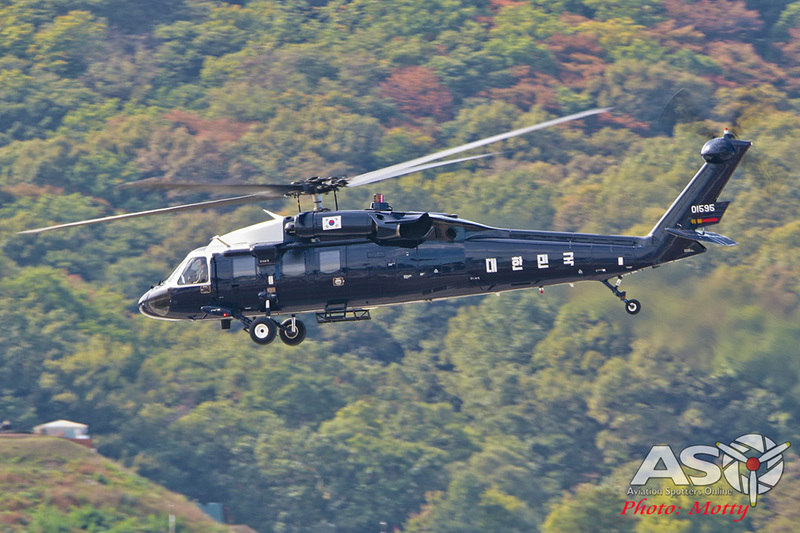 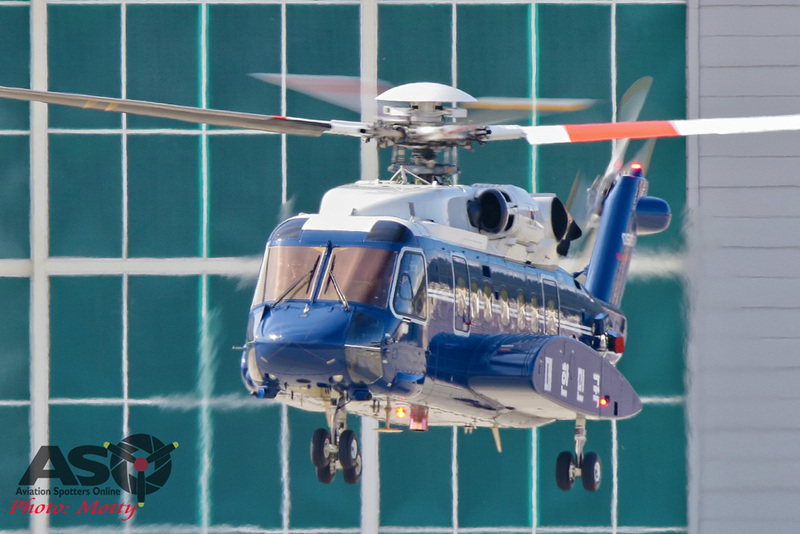 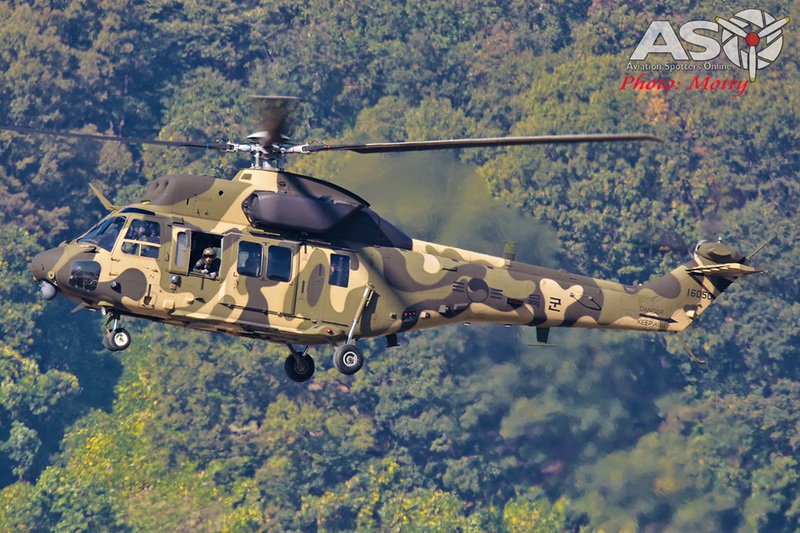 Seongnam is the home base for the ROKAF’s VIP fleet which includes Blackhawk, S-92 and Puma helicopters and a pair each of CN-235s and HS-748s as well as a 737 and even a 747. 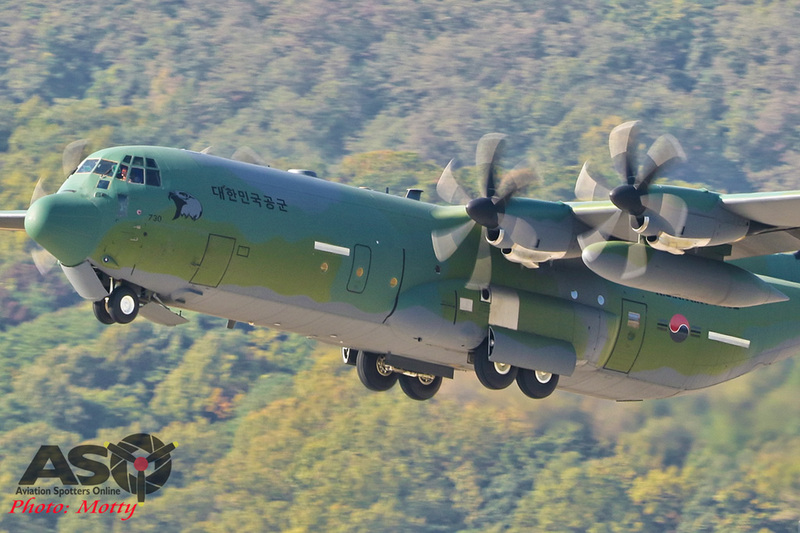 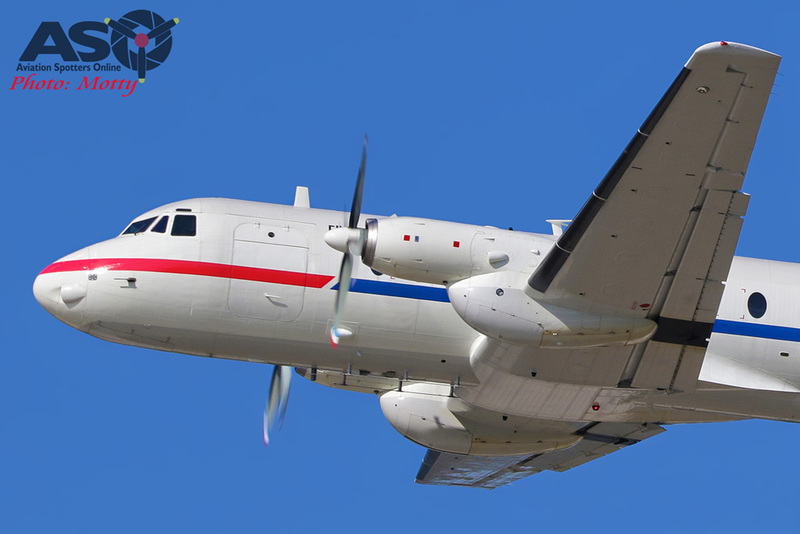 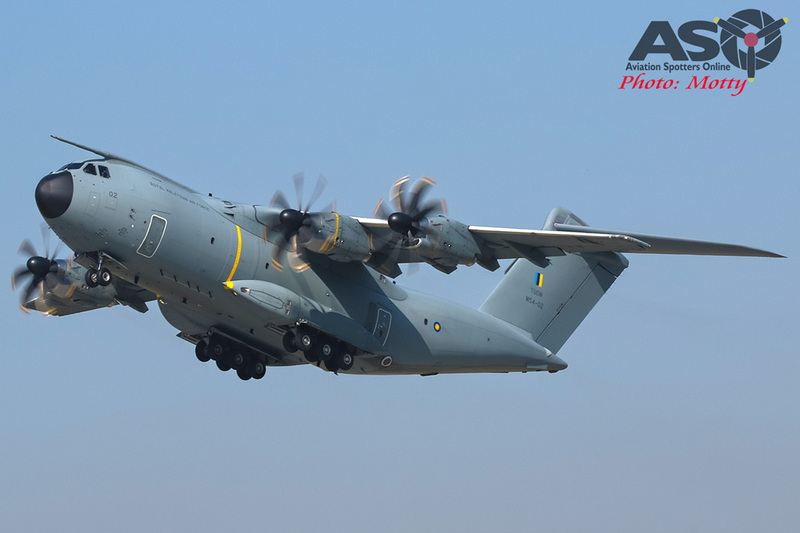 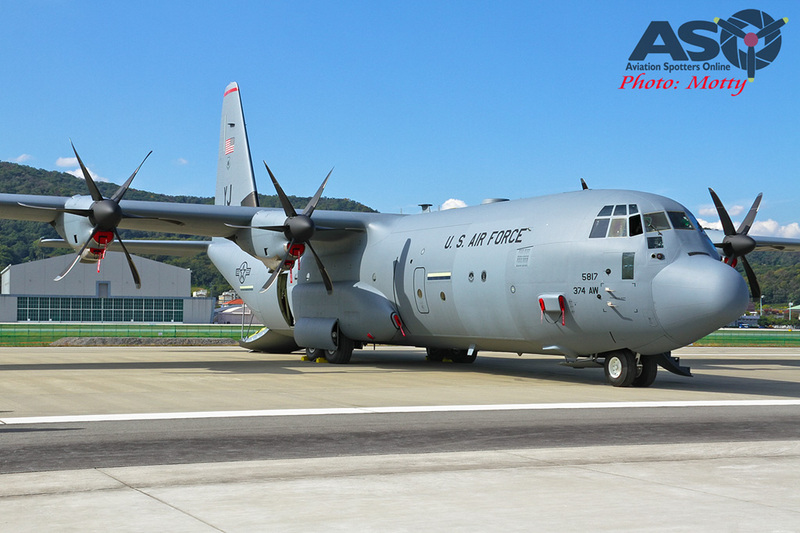 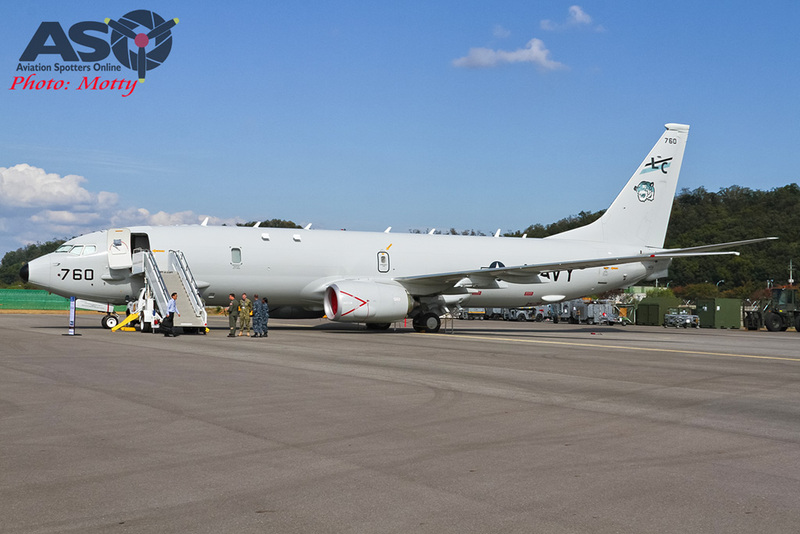 The base is also home to C-130 and CN-235 transport squadrons along with a surveillance unit equipped with reconnaissance versions of the HS-125. 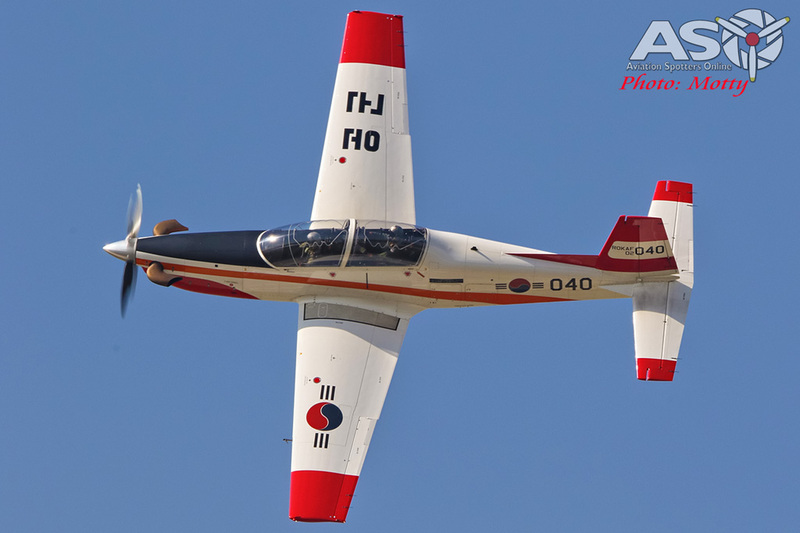 While political tensions with North Korea meant that there were probably a few less displays than usual for an event like this, the weather was marvelous for most of the week and it was a great opportunity to catch some interesting and exotic types in action as well as getting to see a great Aussie team waving the flag and promoting an aspect of aviation that is still an exotic curiosity to many in this part of the world. 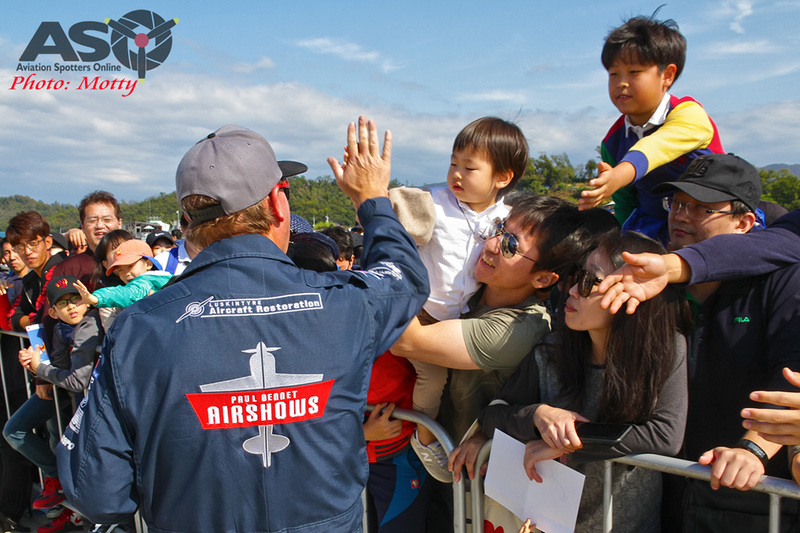 In fact, there was so much great stuff to see that we plan on bringing you further mini-articles and galleries covering the various parts of the show. 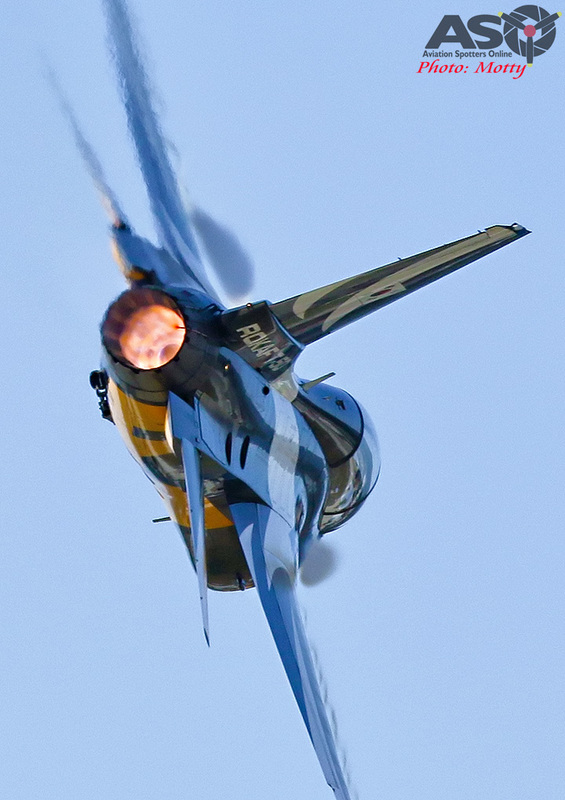 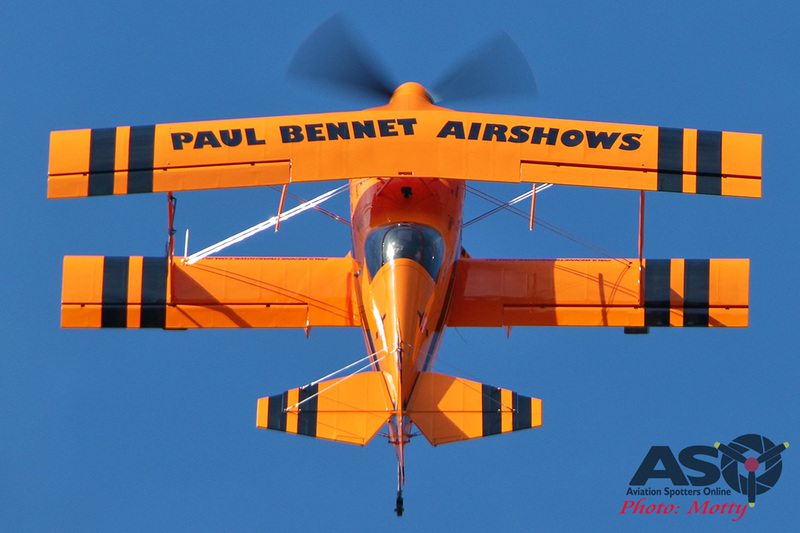 My sincere thanks to the Paul Bennet Airshows team for allowing me to join them during their week at the show. 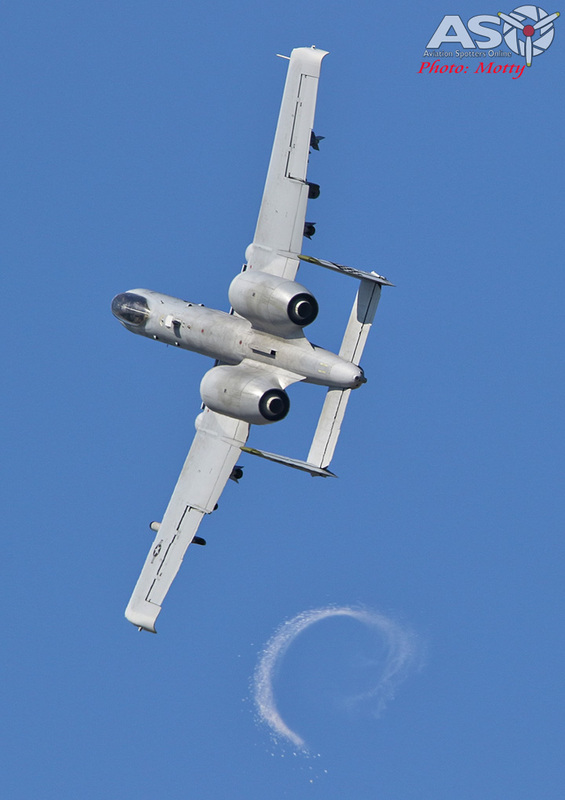 Thank you very much Peter. 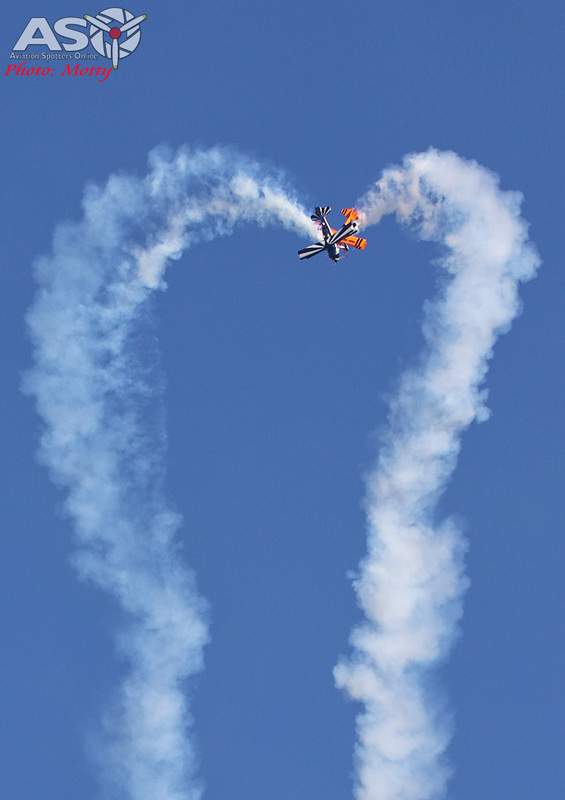 Glad you enjoyed the article.